Had my passenger side seat for my 914-6 stored away and just pulled it out. The basket weave material is different from std. weave it is identical to the material used for the 914-6 & 911 tool kits. Anyone ever see this used before? Do you know if it was reupholstered at any point? AFAIK, that pattern wasn't used on the 1970-72 914 -6 &/or /4 seats, but I could be wrong. Jeff Bowlsby's 914 website shows the material samples for 1970 IIRC, but I'm not sure if it includes the -6 upholstery, or just /4. Maybe check with Andy T./SocalAndy by email or PM, since he's more of a 914-6 expert than I am. Maybe some other 914-6 Originality officianadoes can chime in too? Figured it out. Not original material found previous staple marks underneath when I pulled the material back, it is VW basket weave material. Funny it is dead nuts on for the tool bag material. Glen, I'm sure the pattern in his pic above doesn't match that on your nor other original upholstery -6. 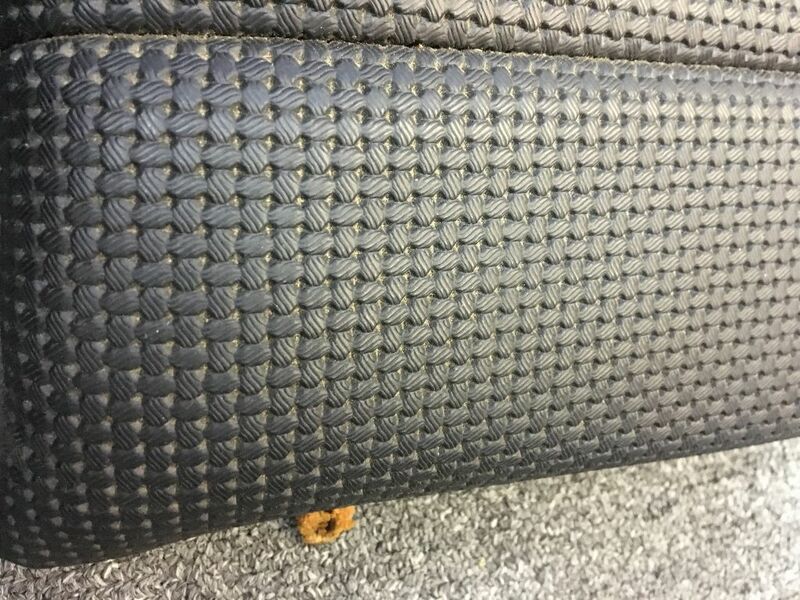 Yes it was basketweave then, but not the material he showed - as he clarified in his post above that it was reupholstered in a VW basketweave which looks different. My comment wasn't that basketweave was not available - just that his pic did not look like the correct factory material & pattern which was used in our 914s. 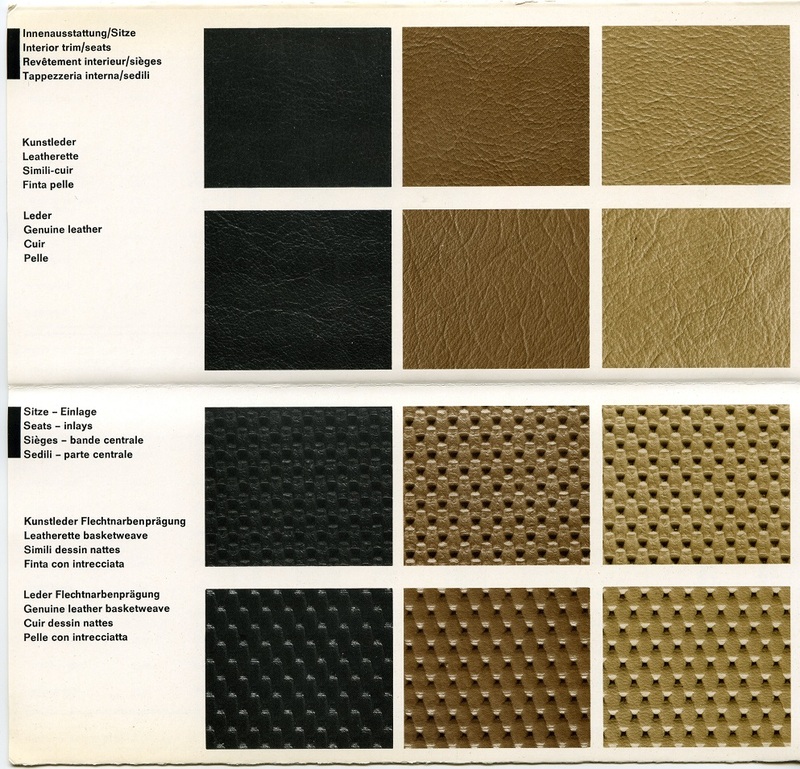 Both the vinyl leatherette & real leather textures don't have that funny squiggle texture from Mike's close-up, as can be more clearly seen on the beige/tan & brown samples above. Fortunate enough to find a drivers seat that is beautiful. ...As the adverts always say ....except for the Hickie the rear. Gives me the opportunity to confirm the match so fixed seat can be redone in correct configuration. Pictures show tops and bottoms of the bottom pads. Try Autos International in Fallbrook CA, World Upholstery in Ventura CA, Lakewell.com in Europe, & 911 Leather or some of the other suppliers listed in the PCA Panorama or the independent Excellence magazines in their ads. AI, WU & Lakewell sell bulk material, 914 kits & AI & WU do interiors for you as well. They should all have black leather & leatherette in both smooth & basketweave (914Rubber has leatherette kits I think too). PS - They're all online too if you google them.